Anritsu MG3696B : Signal Generators - Test Equipment Connection - Prüfgeräte zu verkaufen - verpachten - vermieten. 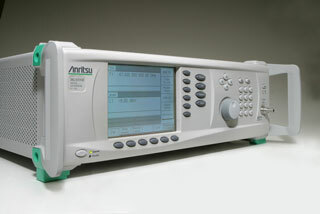 The Anritsu MG3696B signal generator is an electronic instrument that generates repeating electronic signals. It contains an electronic oscillator, a circuit that is capable of creating a repetitive waveform.